The city police had on Monday imposed prohibitory orders in east and northeast Delhi, anticipating law and order problems. Rahul Gandhi's remarks came amid farmers march towards Delhi. 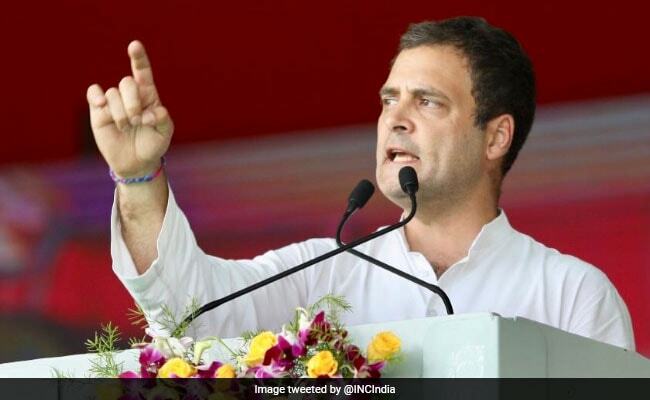 Congress president Rahul Gandhi on Tuesday accused the BJP of "brutally beating up" farmers at the Delhi border on International Day of Non-Violence and said that they cannot even air their grievances in the national capital. Mr Gandhi's remarks came after farmers marching towards Delhi as part of the Bharatiya Kisan Union's (BKU) protest call over demands ranging from farm loan waiver to cut in fuel prices, were stopped at the Delhi-Uttar Pradesh border Tuesday with police using water cannons to disperse them. The city police had on Monday imposed prohibitory orders in east and northeast Delhi, anticipating law and order problems as thousands of BKU members were marching from Haridwar to reach the national capital.